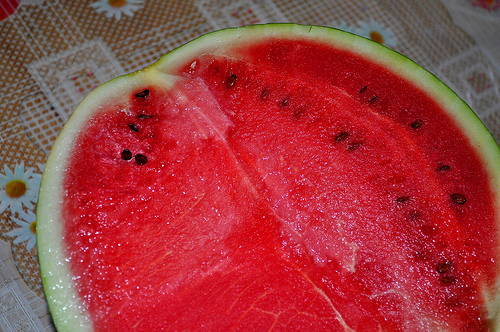 Welcome to the webpage all about the watermelon! There is an array of information ranging from the taxonomy to examples of delicious recipes all about this wonderful organism. How well do you know this organism? Find out some introductory information below and then test your knowledge in the "fact or myth" section near the bottom of the page! 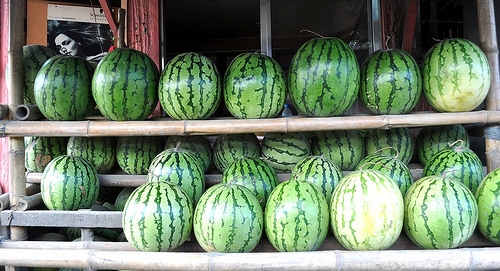 Scientifically known as the Citrullus lanatus, the watermelon is most commonly known as a very popular fruit that looks like the above photo; as it has a green outside surface with reddish pink inside. In many cases it also includes black seeds. 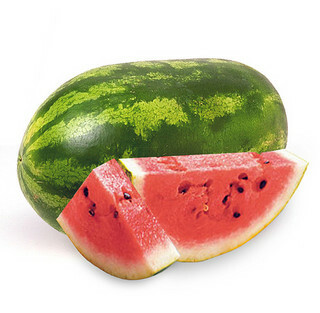 Although it is true that the above fruit is classified as the watermelon, it is also only a portion of the entire organism. 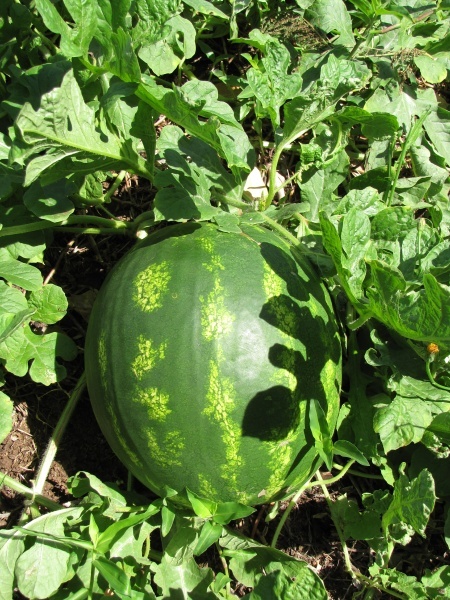 In fact, the fruit itself is specifically produced to hold and protect the seeds of a watermelon plant. It’s fascinating what happens behind the scenes of this delightful fruit we eat. Explore this website to find out all of its (not so) hidden secrets. Due to its popularity, there are many myths about the watermelon. Can you tell which of these are facts and which are myths? 1. If you eat a watermelon seed, a watermelon will grow in your stomach. 1. MYTH: Oh yes, the rumor you’ve been hearing for years. The truth is, the watermelon has not adapted to living conditions in your gut (well at least not yet), and therefore is unable to grow inside of your stomach. 2. FACT: They gain acidity through the soil they grow from, but don’t worry, not enough acidity to harm you while eating. 3. 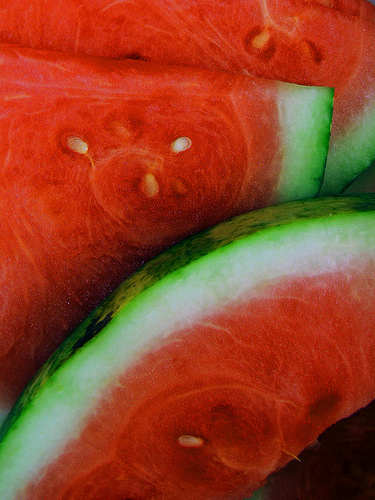 MYTH: Watermelons, in fact, have many nutritional benefits. Explore the nutrition page to learn more! 4. 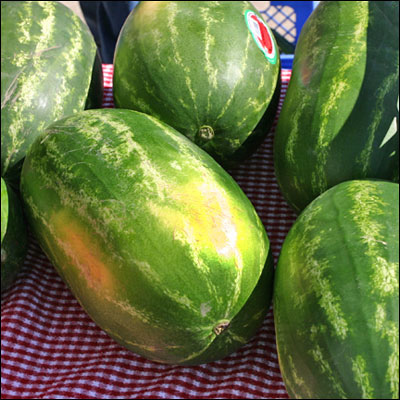 MYTH: Watermelon seeds are also nutritious, filled with several vitamins and proteins. 5. FACT: Learn all about their flowers under reproduction! 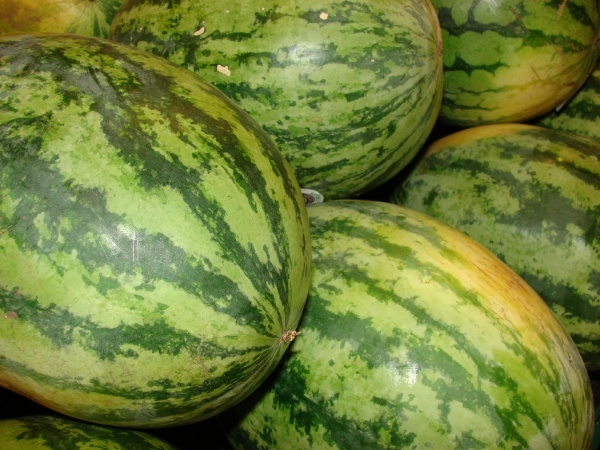 How did the watermelon get its name? The answer to this question, along with detailed information on how the watermelon is scientifically classified, check out the classification page!